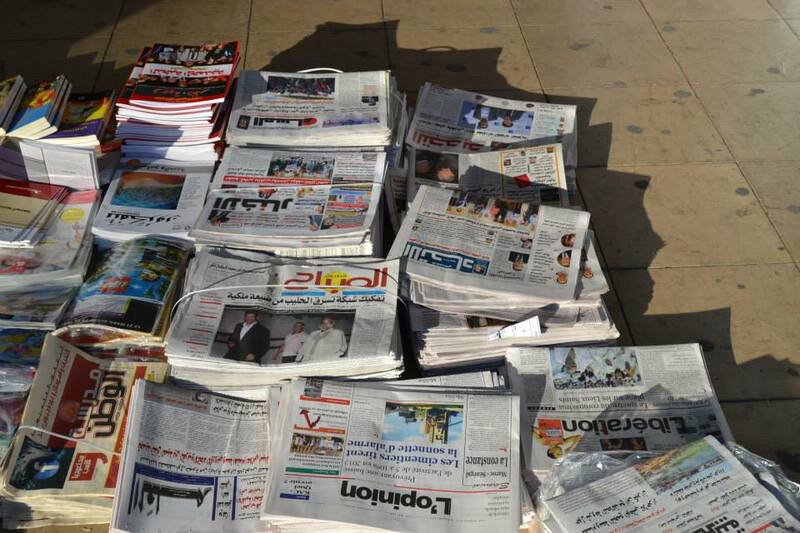 Rabat - Here is a look at the major news that made headlines in Moroccan newspapers. 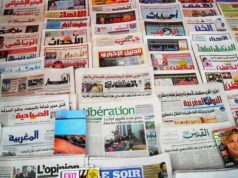 This round-up includes business, political, cultural and social news covered by Moroccan newspapers this week. 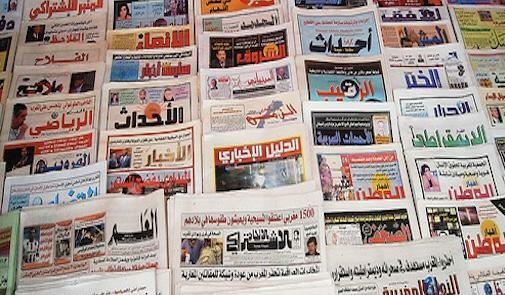 Rabat – Here is a look at the major news that made headlines in Moroccan newspapers. This round-up includes business, political, cultural and social news covered by Moroccan newspapers this week. 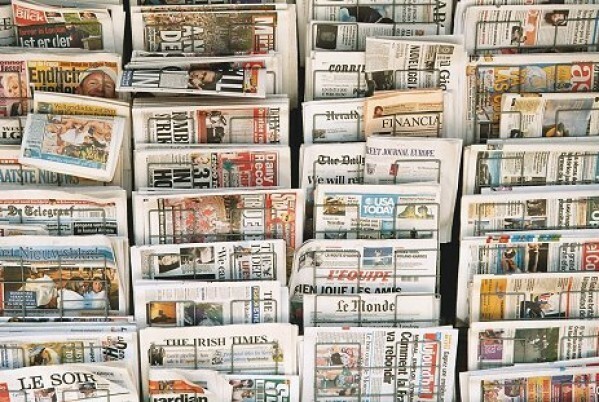 The big headline in national newspapers was the arrest of three “dangerous” individuals affiliated with the Islamic-State (ISIS), including a member of the separatist Polisario Front. The suspects, who were caught on Thursday, February 15, were plotting to undermine Morocco’s security through terrorist attacks they planned to carry out in several major cities. The leader of the cell is a member of the separatist Polisario group, according to Assabah. The newspaper reported on February 16th that Morocco’s Counter-Terrorism Bureau (BCIJ) managed to seize electronic devices and an Identity card of the self-proclaimed Sahrawi Arab Democratic Republic (SADR), from the house of the leader of the suspected three-ISIS related cell. The search operation also led to the seizure of a military uniform and flag connected to the Polisario. These applications are using advanced techniques, which are able to make fake phone calls using numbers registered in the victim’s devices. The applications are also able to mimic the person’s voice, reported Al Massae on February 16. According to Al Massae newspaper, the Royal Armed Forces (FAR) is planning to build ten new surveillance posts on the Moroccan-Algerian border, in order to reinforce security in Morocco’s eastern provinces. The border surveillance centers with Algeria are aimed at countering smuggling rings, as well as preventing infiltration of terrorist elements in the region. Assabah is reporting that 1700 Saudi nationals were victims of alleged sextortion and cybercrime activities committed by Moroccan citizens in 2017. 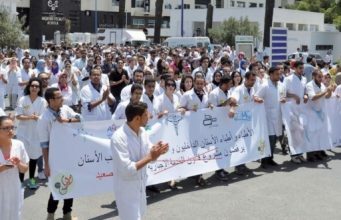 The newspaper said that Saudi nationals, including women, were victims of blackmail by Moroccan criminal bands operating in two unidentified cities. The alleged sextortion cases have, according to the paper, led to severe depression for eight of the Saudi nationals who fell victim to the blackmail. The same paper reported that Morocco has managed to dismantle a baby-smuggling ring, which was operating in Khouribga, a city in the Beni-Mellal region. The ring was alleged to have been pressuring mothers of newborns to sell their babies, forcing them to sign contracts to give up their children. The national newspapers have also reported on Jacob Zuma’s resignations, which made the headlines nationally and internationally on Wednesday night. Zuma was replaced by Cyril Ramaphosa who took office on Thursday after being voted in by the National African Congress. A 13-year old middle school boy from Benguerir, a city near Marrakech, attempted to commit suicide as a result of the “Blue Whale Challenge,” an infamous social media craze that incites its users to commit suicide, reported Al Ahdath Al Maghribia on February 12. This dangerous game has allegedly already caused the death of two Moroccan children, reported Assabah in December 2017. Assabah reported in its December 29th issue that the first victim of the game was an 8-year old boy from Hay Mohammadi, Casablanca. The second tragic account occurred on Thursday, December 28 in Casablanca’s Douar Rhamna. The victim was a 12-year old girl. The same newspaper reported this weekend that another girl has joined the list of young Moroccans who have been entrapped by the “Blue Whale Challenge.” The new victim is a high school student from Bengurir. The child’s school’s director discovered that the girl was participating in the deadly challenge after he noticed the whale’s drawing on her hand. The director then called the student’s parents, advising them to take her to medical experts. According to Akhbar Al Yaoum’s weekend edition, Morocco’s stores of gold has remained stagnant for decades. 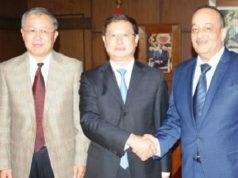 Morocco’s total value is estimated at USD 910 million. Morocco’s reserves are 22 tons of pure gold. The North African country, according to Assabah, is ranked 11th in the Arab world in total gold holdings, while it is ranked as the 59th globally. Al Akhbar reported this weekend that a court in Sale has sentenced three young defendants from the city of Essaouira to seven years in prison. The defendants were involved in terrorism-related crimes. Al Ahdath al Maghribia reported that the General Directorate of National Security opened an investigation to arrest suspects of a fraud network which was active in in several cities in Morocco. The investigation was opened after the arrest of one of the network’s members by police authorities in Tetouan.